She may look expendable, but this Red Shirt is back for Season 2! Welcome, fans, to Associated Geekery Episode #107! 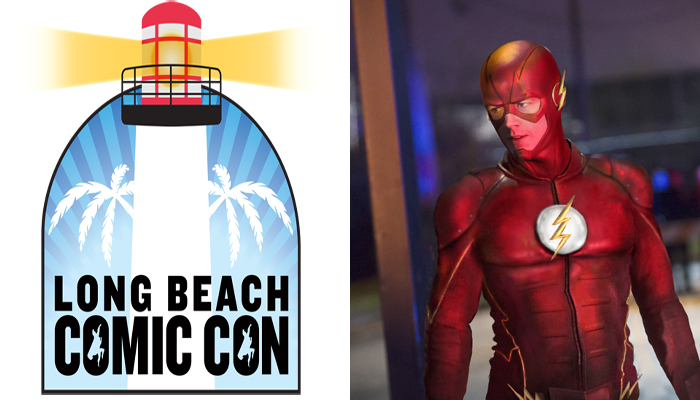 Our main topic this week is our discussion of Long Beach Comic Con 2015! The good, the bad, and the in-between that wasn’t so bad, but still needs to see us after class. TV news- Marvel/Netflix has released a teaser trailer for Jessica Jones– and we now know it’s coming to us on 11/20/15! We’re ready! Further casting news for Luke Cage- actor Frank Whaley is joining as Misty Knight’s partner, Rafael Scarfe. At this point, we’d all better be ready to get cast in this show! Meanwhile- the CW released two new trailers for Season 2 of The Flash- the second has more stuff to it, so pay more attention. Not to be outdone by their bigger brother- Legends of Tomorrow debut the first looks at Hawkman and Hawkgirl. The costumes are very well done, but who will these hawks be? Time-tossed lovers? Archaeologists with ancient weaponry? Alien cops? Who knows? In Comics, Marvel announced that everybody’s favorite PI/super-heroine is getting her own series: Patsy Walker a.k.a. Hellcat debuts in December! Our Recommendations this week include: Season 2 of Red Shirt Diaries and the new Dr. Fate! 1 Comment on "Associated Geekery Episode #107"
I had lots of fun, and definitely will try to return next year! Re: business cards, I’ve actually been to a few work-related expos that also require business cards with your contact info in order to get in (which I ran into issue with because my old boss didn’t think I needed business cards) because all the registration was based on the company’s info, not on the individual attendee. It was more important to show that you were part of that company and give them all that relevant info than to prove who you were on a personal id. So I get the reasoning for it, even if it doesn’t make as much sense in this scenario.